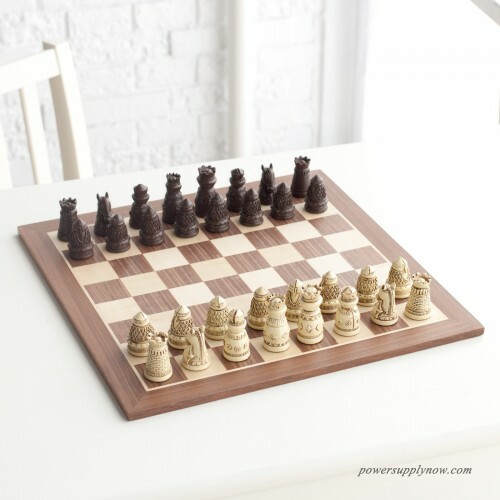 Players of all ages will enjoy learning and playing the fun game of chess with this Wood Expressions Medieval Chess Set with Wood Board. This medieval-themed game is a tribute to life in the Middle Ages. It features a wood board to offer long lasting use and enjoyment. 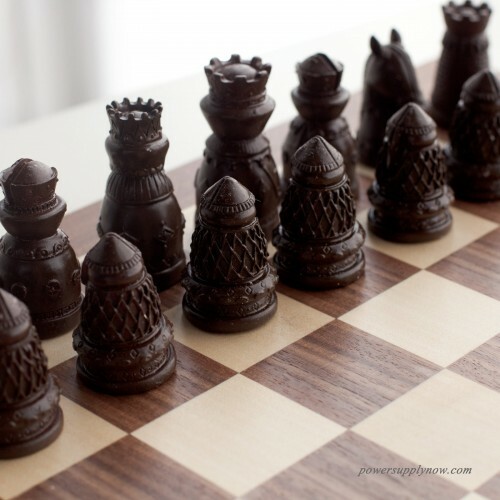 This set also includes brown and ivory polystone chess pieces for playing. 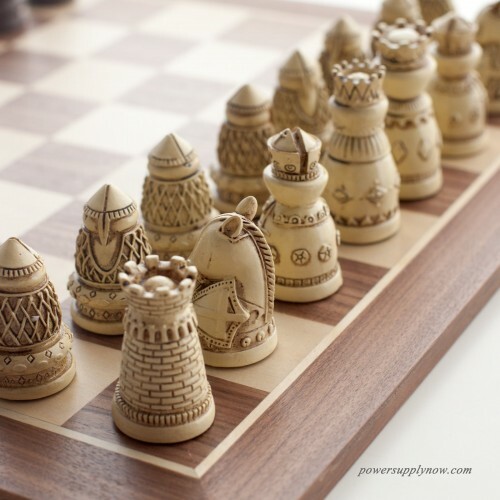 This Wood Expressions chess set is recommended for players ages 8 and up. 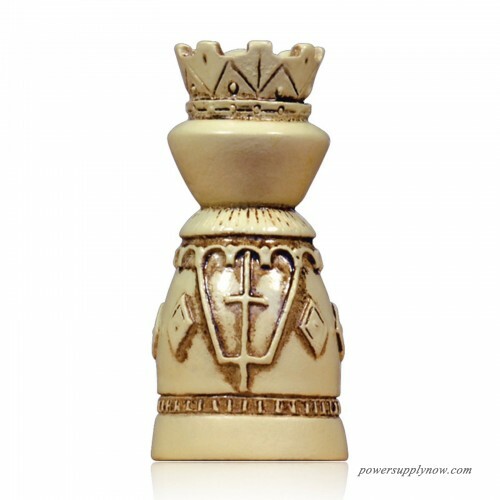 An excellent gift or exquisite display piece, the WE Games Medieval Artisan PolyStone Chess Set is unlike any other. The complete set of polystone pieces are intricately carved in the medieval style and finished in antique brown and ivory. Polystone is a mixture of ground stone and polyresin, leaving the look and feel of a rock carving with the accessibility and durability of modern materials. 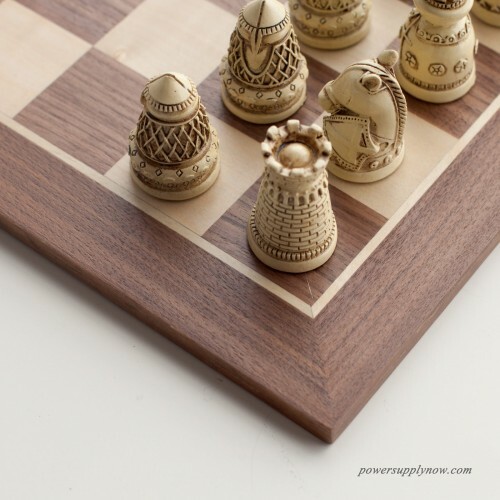 The pieces, with a 2.63-inch king, play on a finished wood board in complementary brown and ivory wood grain-finished squares. It's wrapped with a razor-thin inlay and dark brown border, and neatly complements these unique pieces. Whether you're giving or getting this chess set, you can be confident that it's unforgettable.